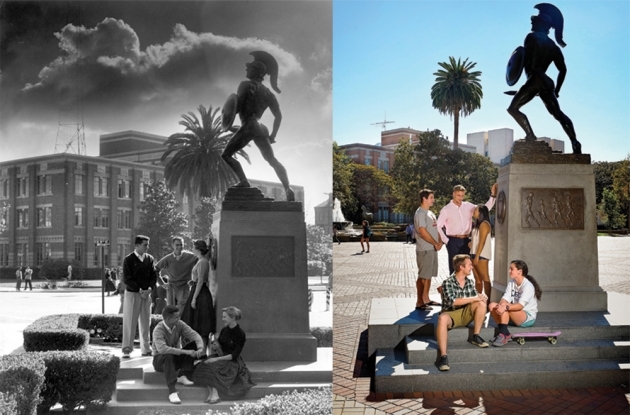 Students from the 1940s and 2014 pose with USC’s iconic Trojan Shrine. 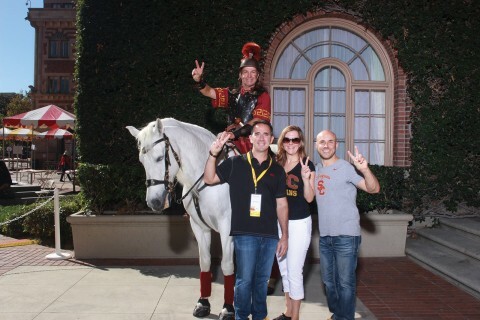 Unveiled in 1930, USC’s Tommy Trojan statue has long served as a handy meeting spot. 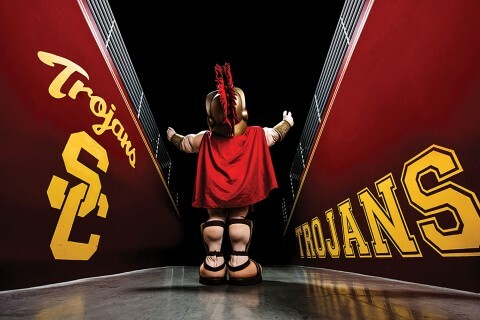 Known as the Trojan Shrine, the sculpture created by Roger Noble Burnham remains ageless, while fashion, landscaping and students’ preferred modes of transportation shift with the sands of time. See how many differences you can spot between these scenes, photographed in the 1940s and 2014. Reuniting feels so good for alumni coming back to University Park.